"Hello Earth...I promised to send you some pictures of Ryugu so here’s a shot I took during my descent. Can you spot my shadow?" 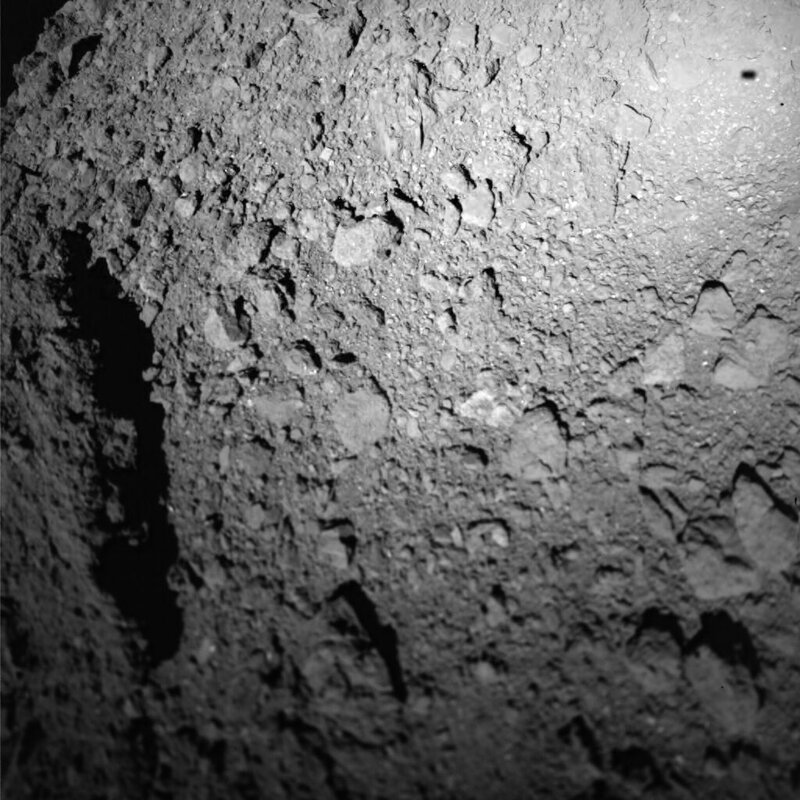 The Mobile Asteroid Surface Scout (MASCOT) has landed on asteroid Ryugu. The name refers to Ryūgū (Dragon Palace), a magical underwater palace in a Japanese folktale. In the story, the fisherman Urashima Tarō travels to the palace on the back of a turtle, and when he returns, he carries with him a mysterious box, much like Hayabusa2 returning with samples.